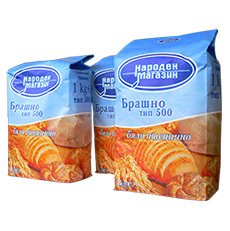 AHF-1000 is an automatic, horizontal machine designed solely for packaging of flour into a pre-made paper bags with sealed bottom side.The bags are automatically picked up from holder with vacuum and then fed into rotative ring, positioned and opened. The flour is filled in using an auger filler, connected to feeding hopper by screw elevator. 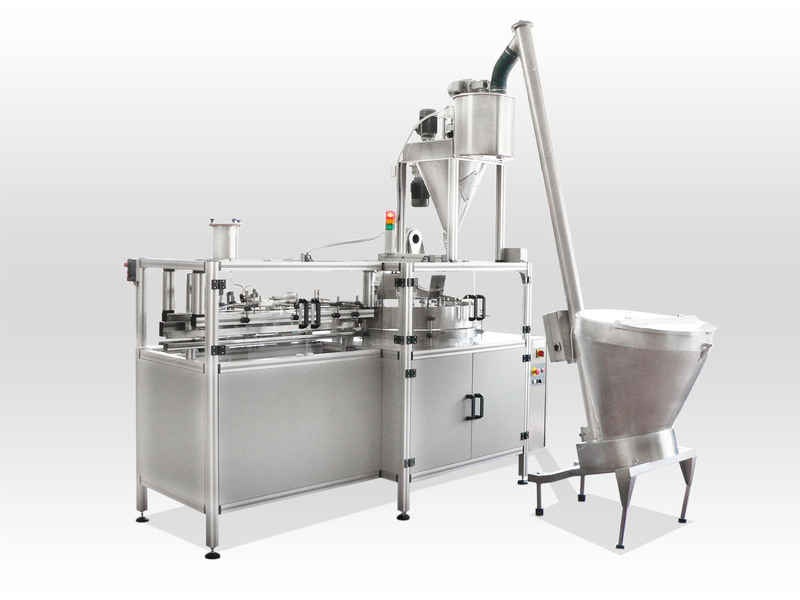 After filling, the package goes to the sealing mechanism of the machine, which closes it and places it on the outgoing conveyor.